Brown the ground beef and drain the fat. Add in the seasoning spice packet and ¾ cup of water. Let simmer until the beef has thickened up. While the beef is getting brown, chop the salad, tomatoes, and scallions and prep all the rest of the ingredients. 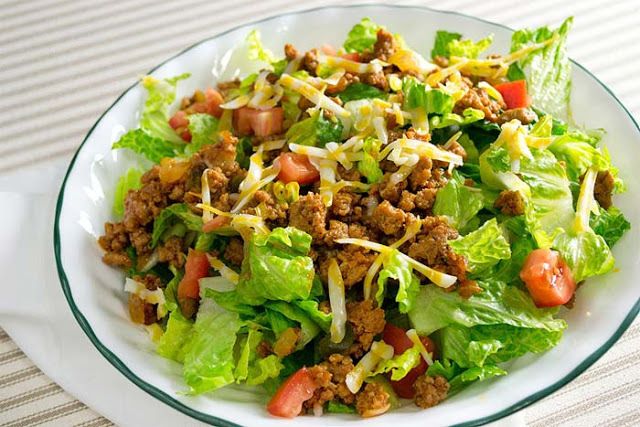 Top the salad with cheese and dressing. Beans and Corn are optional and not figured in nutrition info.